An alumnus of the Yeshiva of Greater Washington, Yeshivas Torash Moshe, and Yeshivas Mir Yerushalayim, Rabbi Yehoshua Berman has had the great benefit of having studied under a wide range of top-level Torah scholars and instructors. 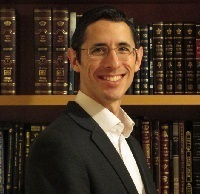 Rabbi Berman draws on that vast well of knowledge and analytical approach to cultivate and synthesize his own, unique methodology of study and instruction, which is chiefly characterized by clarity of expression, straightforwardness, and an eye for practical application. After studying in Kollel for many years, Rabbi Berman received his rabbinical ordination from Rabbi Zalman Nechemia Goldberg, previously a member of the high court of Israel's rabbinate. Currently, Rabbi Berman lives with his wife and four children in Ramat Beit Shemesh, Israel where he serves as the Rosh Kollel of Kollel Reshet HaDaf, in addition to delivering classes in numerous Shuls and institutions in the community that cover a broad range of Torah topics. In addition to publishing "Reflections on the Parsha", Rabbi Berman is currently working on numerous works that range from practical Jewish law, inspiring Torah outlook, and aids to Talmudic review. For questions, comments, or to arrange a speaking engagement, Rabbi Berman can be contacted at rbsa613@gmail.com.